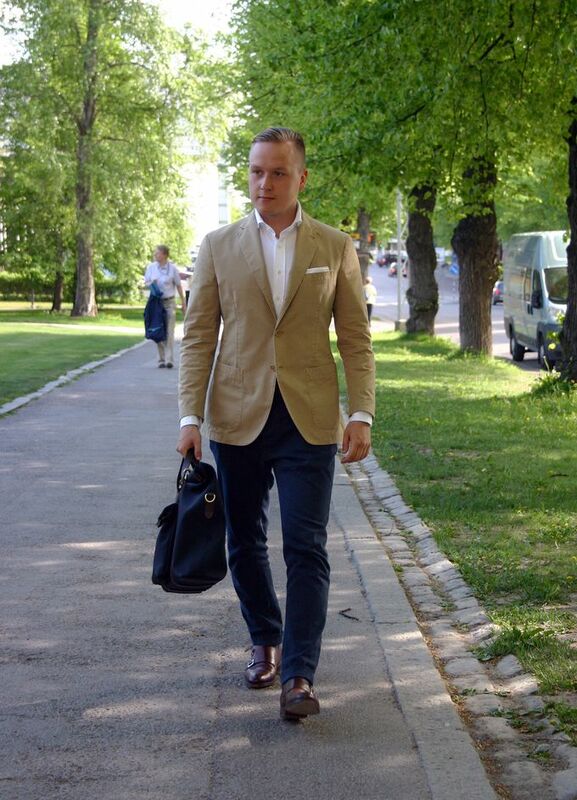 One of my last purchases for this summer was this khaki Cantarelli jacket. I got it from my tailor last week, and with some minor alterations this size 48 turned out to have one of the most amazing fits I've ever had on any of my jackets. What really made me choose this particular piece from all the khaki jackets out there is the color. It has a slightly more yellow shade making the khaki color look richer than in most other options I considered from LBM 1911, Boglioli or even Cantarelli. So, the items include an unstructured cotton jacket from Cantarelli, a lightweight washed cotton twill shirt from SuitSupply, an Equus Leather bridle leather belt in Australian Nut, Incotex dark blue chinos, Bexley socks, Meermin double monk shoes and a Mismo briefcase. 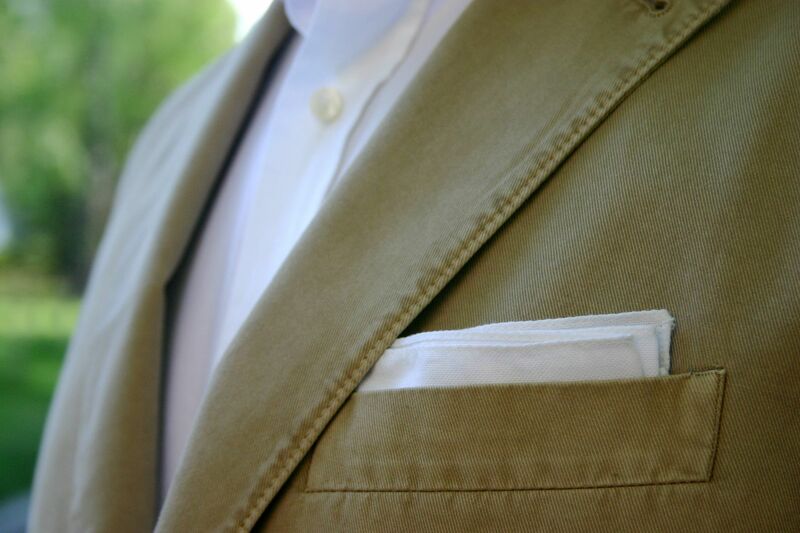 Yet again, using my favorite fold and pocket square. A pure white cotton ps simply has that simplicity that is unmatched by any other kind of squares. 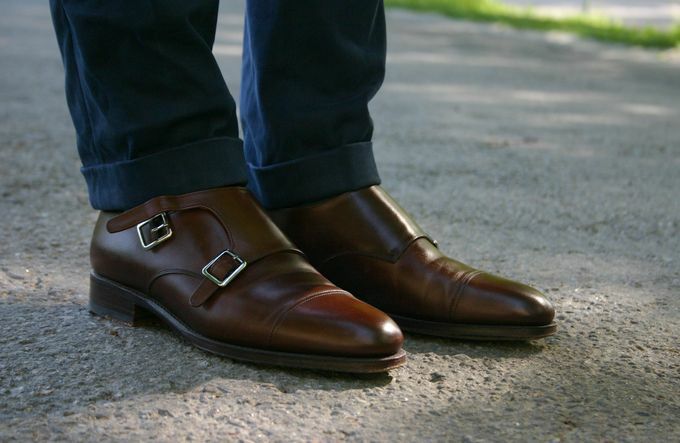 And my Meermin double monks, starting to create some pretty good-looking patina.